Tracking progress in GHG mitigation can be a challenging exercise. Time between data points might be several years in length, the resolution of the data is often coarse, and the task in mitigation action is to manage a dynamic system that is open to many other factors that influence outcomes. In addition, many types of actions are diffuse throughout the community and rely on the individual decisions of many actors. In these types of circumstances, an approach known as “Contribution Analysis” can offer insights to the many factors working for and against the intended outcome. 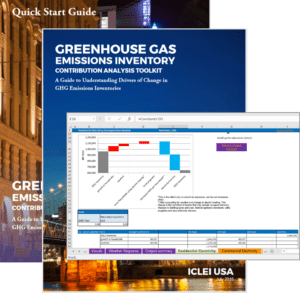 Through a funding award from the U.S. Department of Energy’s Cities Leading through Energy Analysis and Planning (Cities-LEAP) Program, ICLEI USA and the City of Bellevue, Washington, have worked to advance the state of the GHG mitigation practice by equipping cities to perform their own GHG Contribution Analysis of the biggest drivers influencing GHG performance of communities. By accounting for significant sources of noise in the data, communities using this approach will have a better signal to evaluate overall progress and more through understanding of the nature of the problem they are trying to solve. 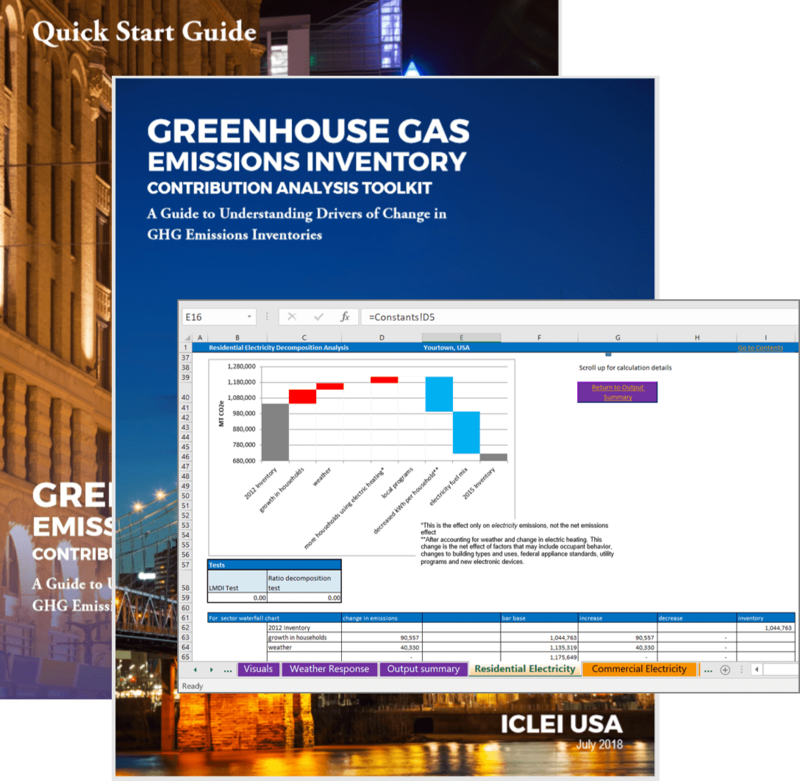 Below are a number of additional resources to support your successful use of the GHG Contribution Analysis Toolkit. Webinar Recordings will be posted shortly after the live presentation. ICLEI-USA Would like to thank the US Department of Energy Cities-LEAP Program for supporting this work. Related resources for this project from the Cities LEAP program can be found here. Participating Steering Committee Local Governments: Bellevue WA, King County WA, Metro Washington Council of Governments, Delaware Valley Regional Planning Commission, Aspen CO, Santa Monica CA.